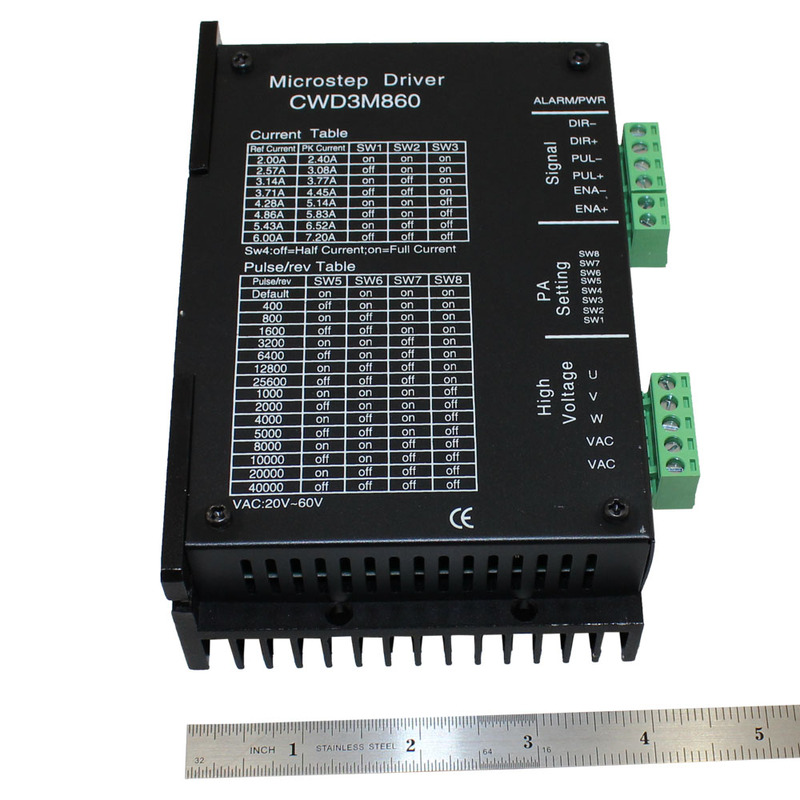 The CWD3M860 is a new generation digital 3-phase stepper motor driver, based on a 32-bit DSP processor, combination of the anti-resonance, low noise, micro-step and low temperature rise technology significantly improve the performance of the stepper motor, has low noise, small vibration, low temperature rise and high-speed torque. 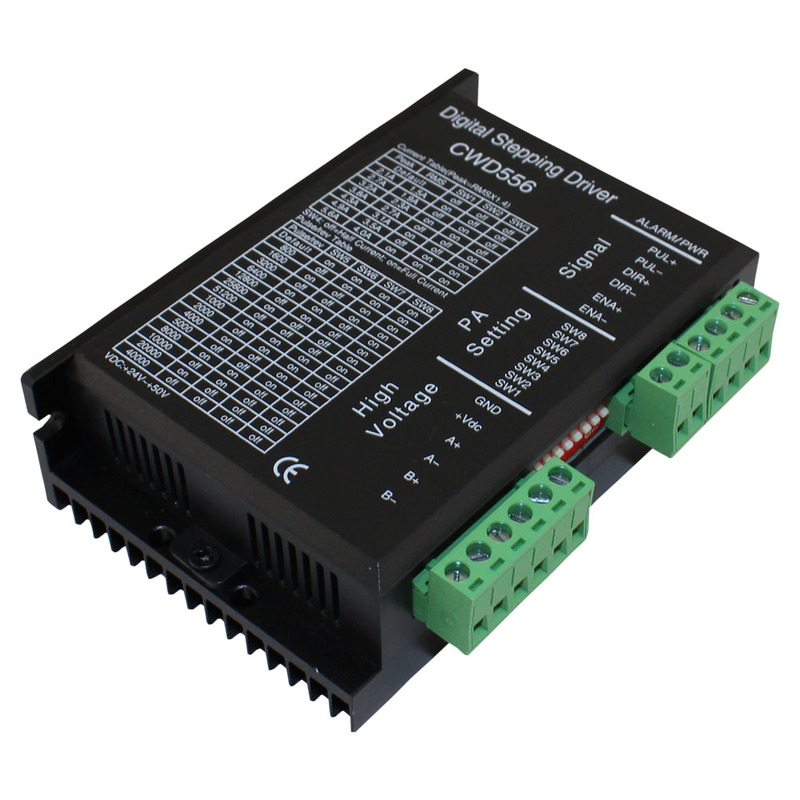 The driver use online adaptive PID technology, without manual adjustment can be automatically generated optimal parameters for different motors, and achieve the best performance. 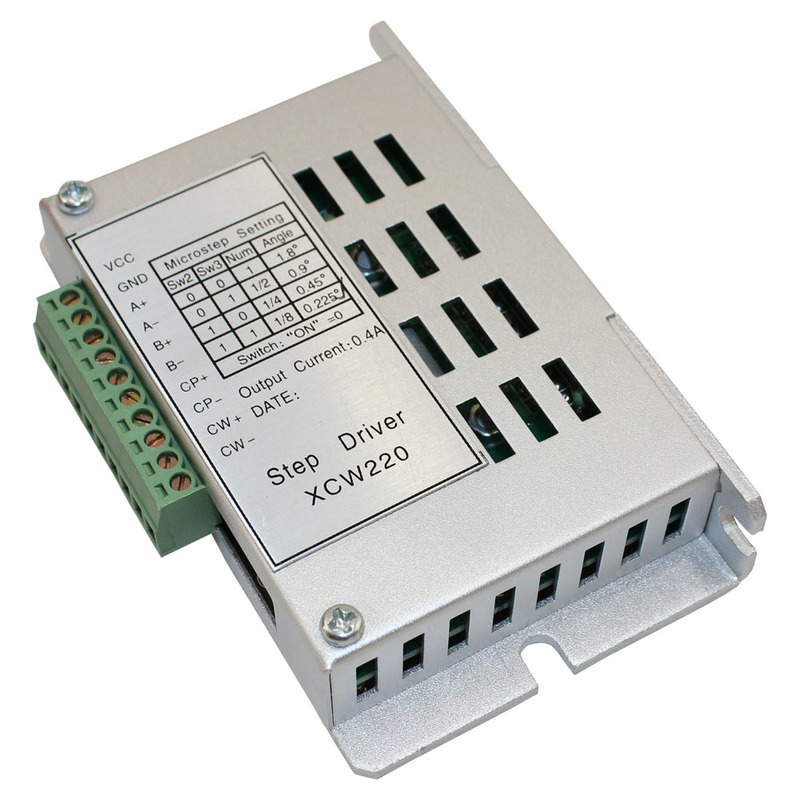 This driver will excellent drive one of our many stepper motors. 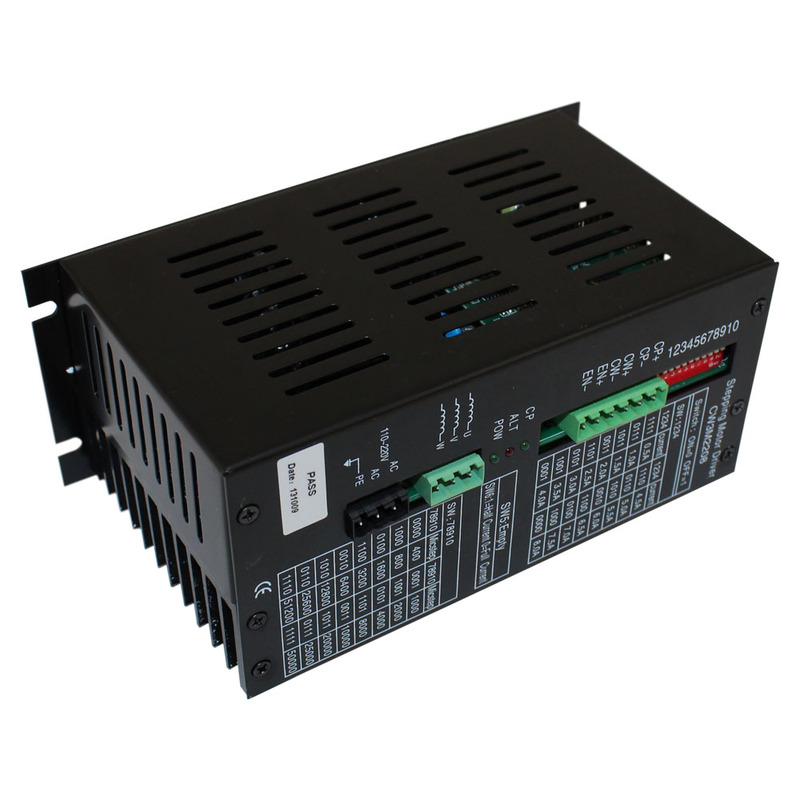 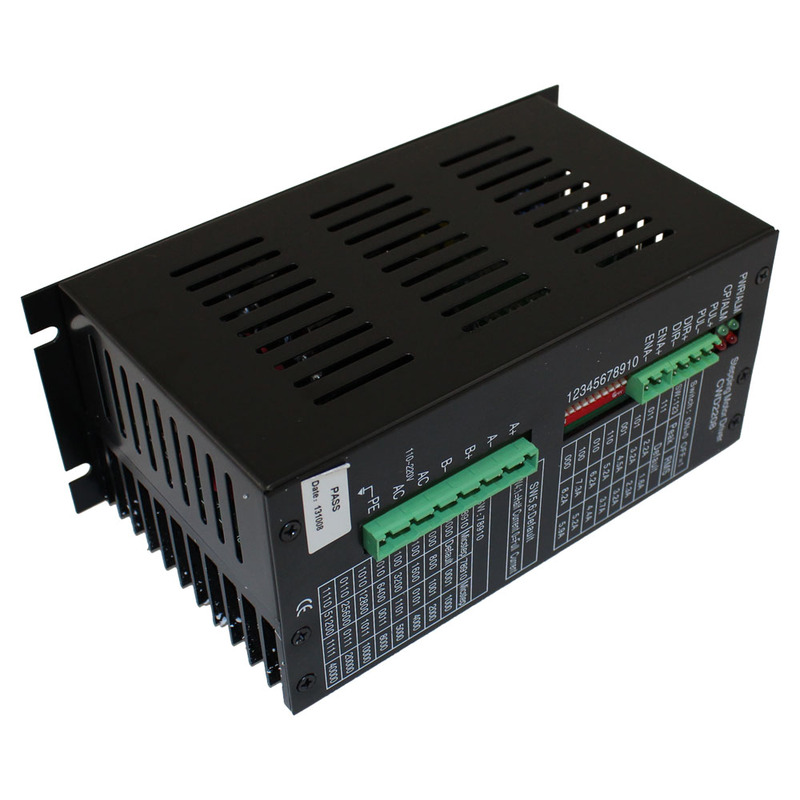 And to power your project, check out our wide selection of Circuit Specialists's power supplies. 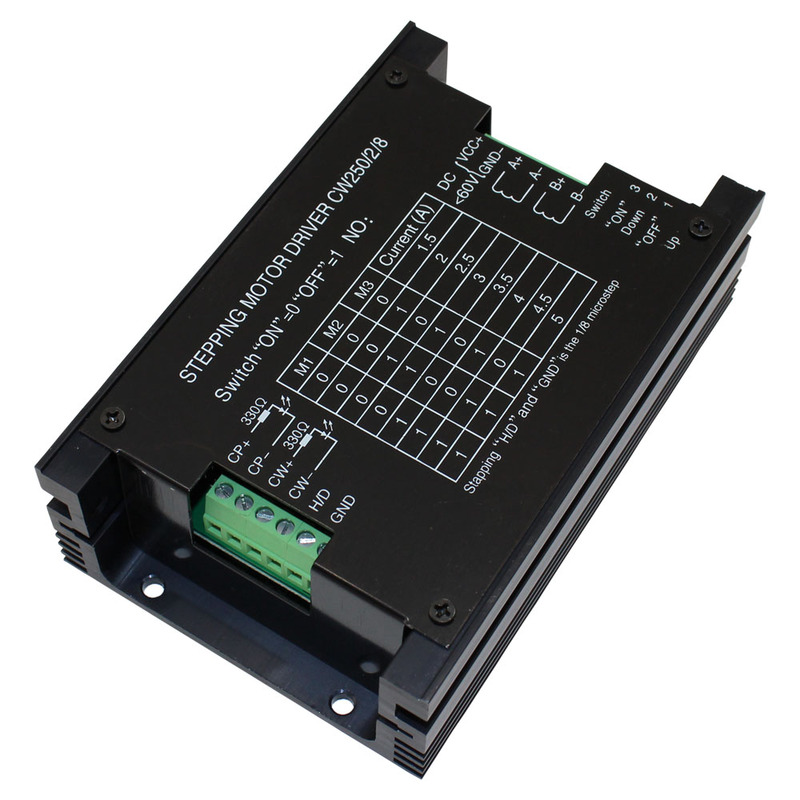 Supply voltage range 20VAC to 60VAC or from 24VDC to 90VDC, suitable for driving various 3-phase hybrid stepping motors which phase current below 7.2A. 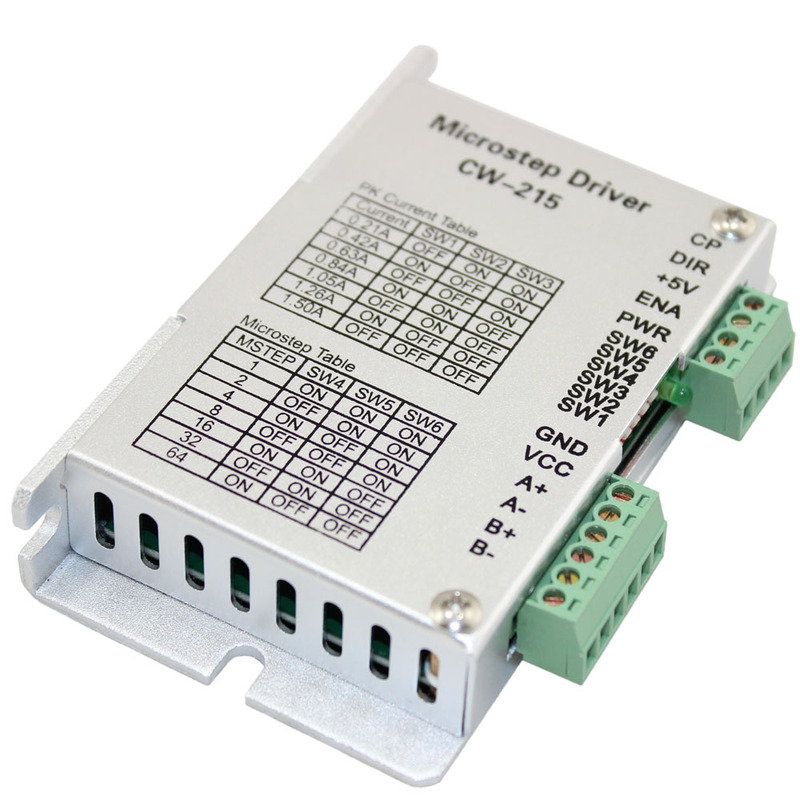 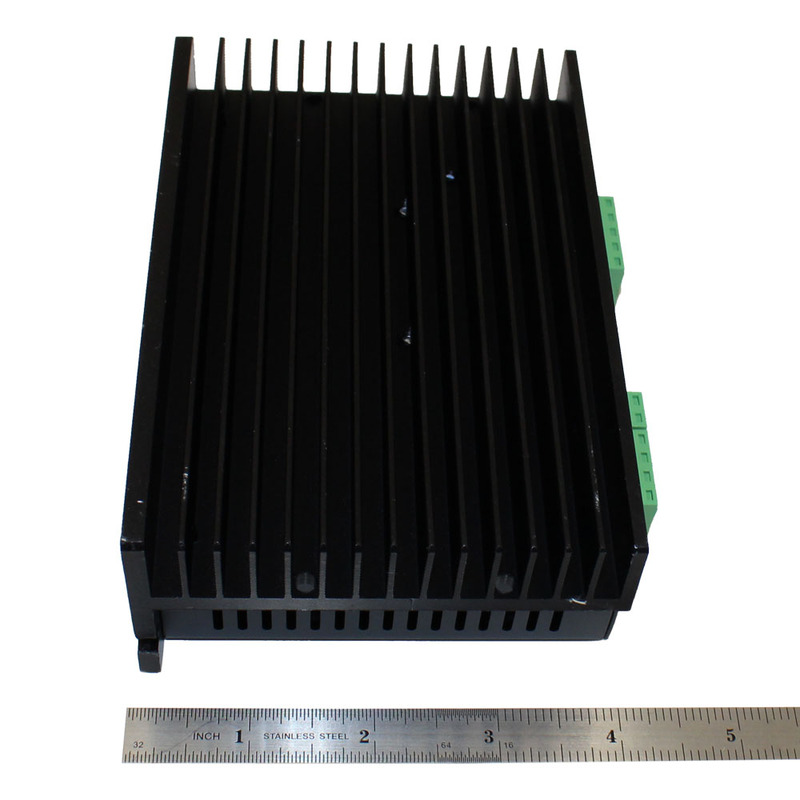 The microstep can be set from full step to 40000steps/rev and the output current can be set form 2.4A to 7.2A; with automatic idle-current reduction, self-test, overvoltage, under-voltage and over-current protection. 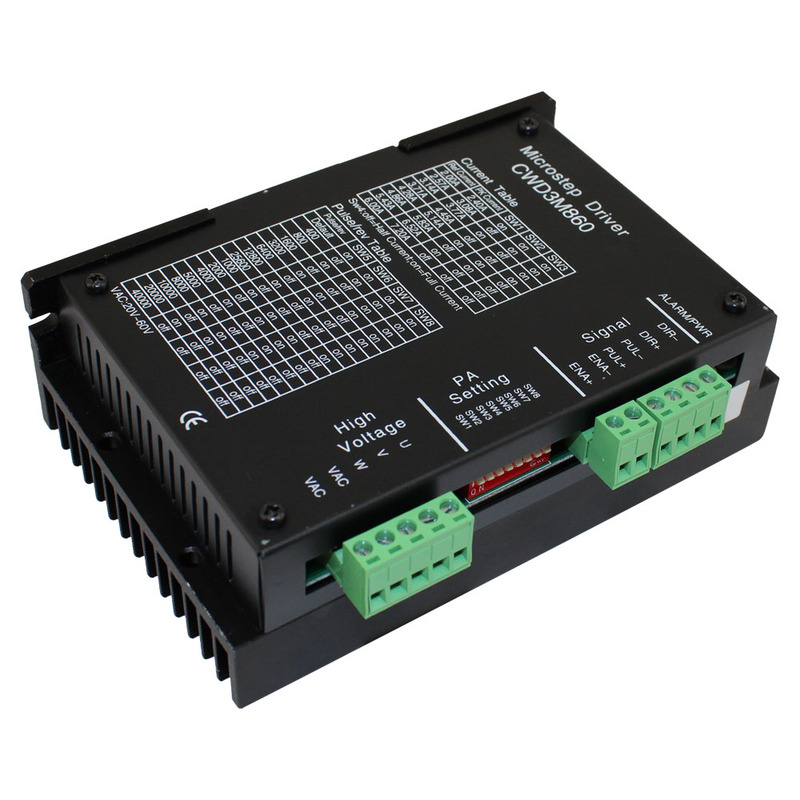 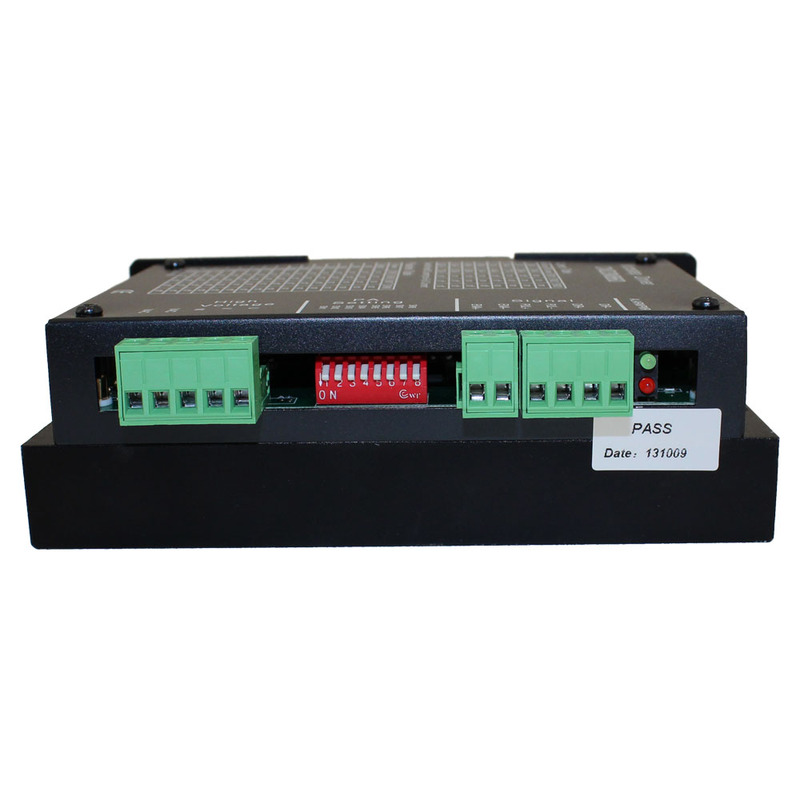 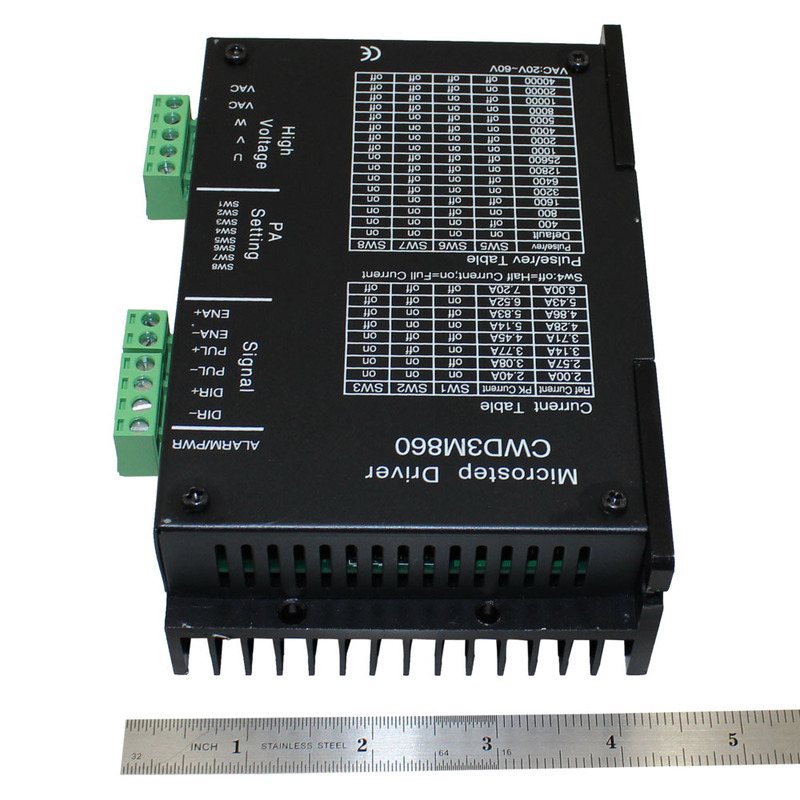 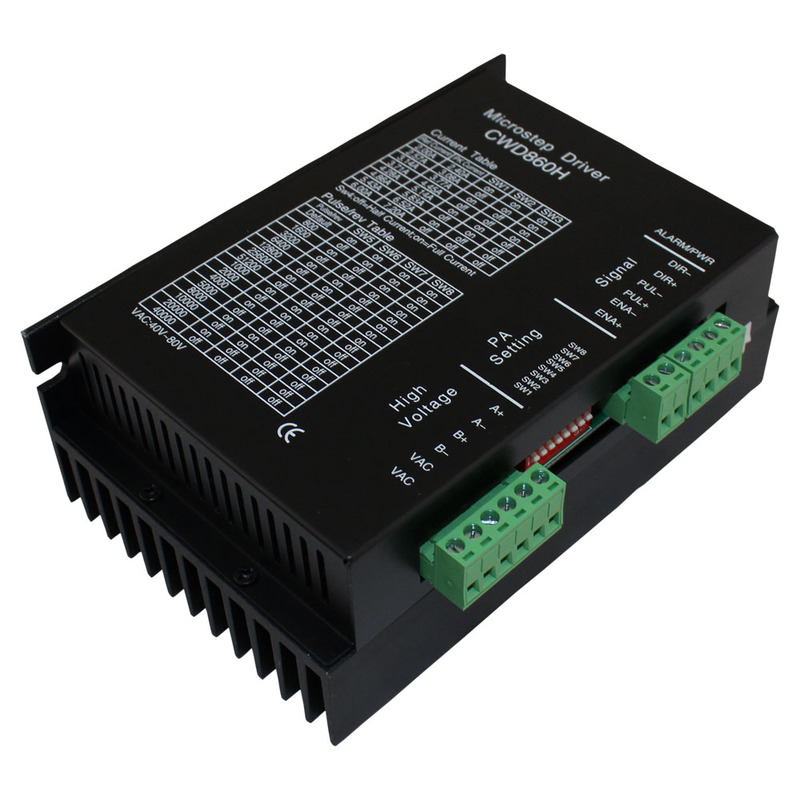 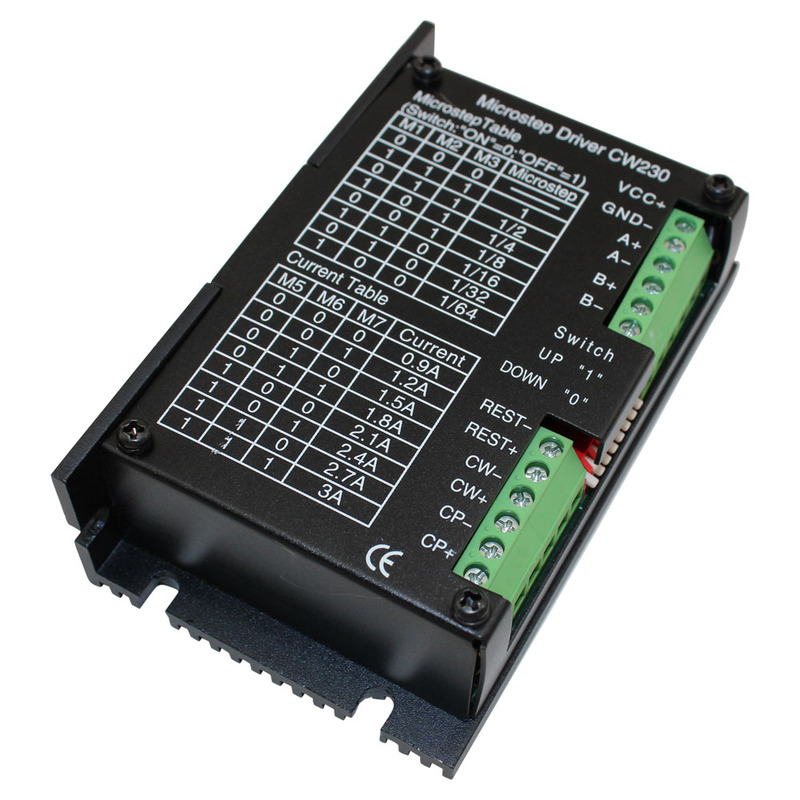 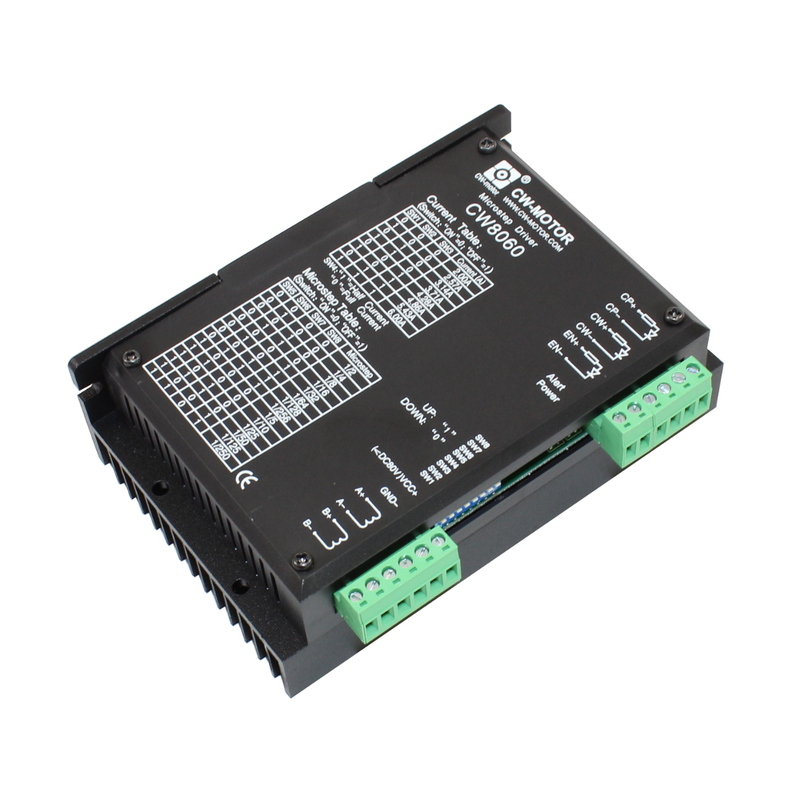 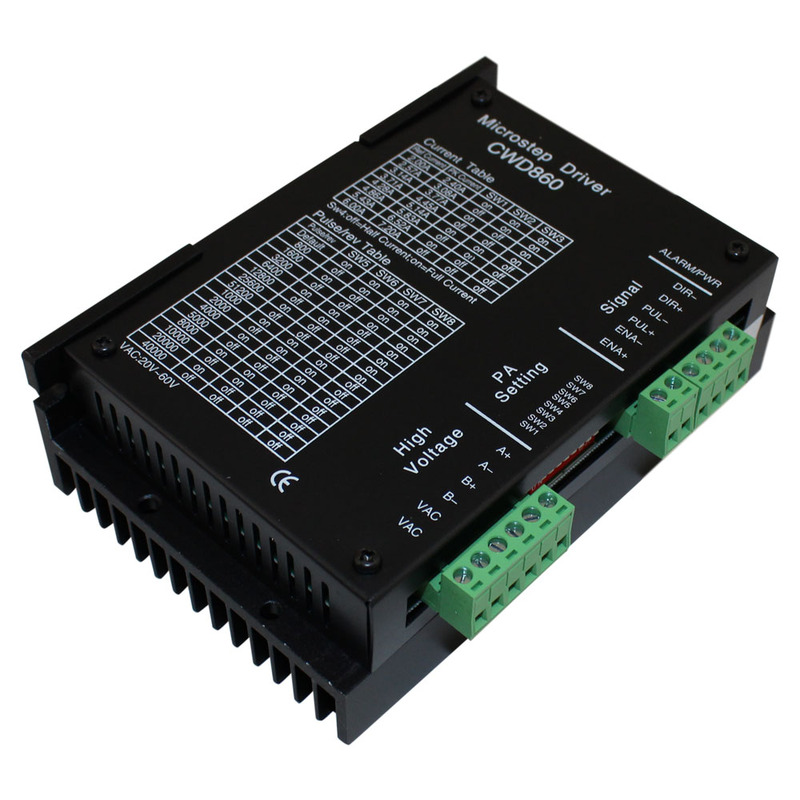 The CWD3M860 is suitable for a variety of large-scale automation equipments and instruments. 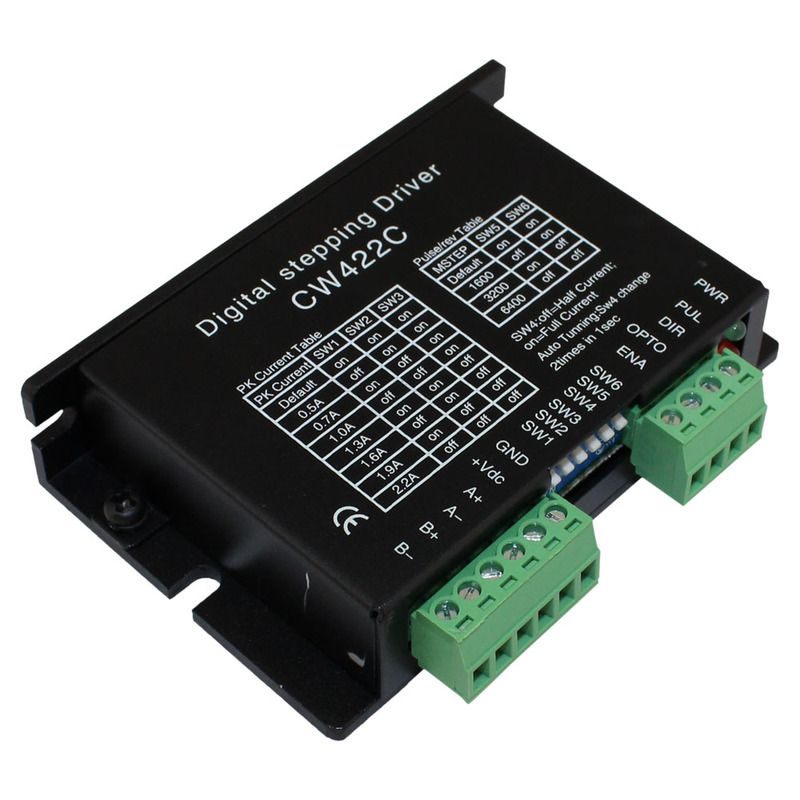 For example: labeling machine, cutting machine, packaging machine, plotter, engraving machine, CNC machine tools and so on. 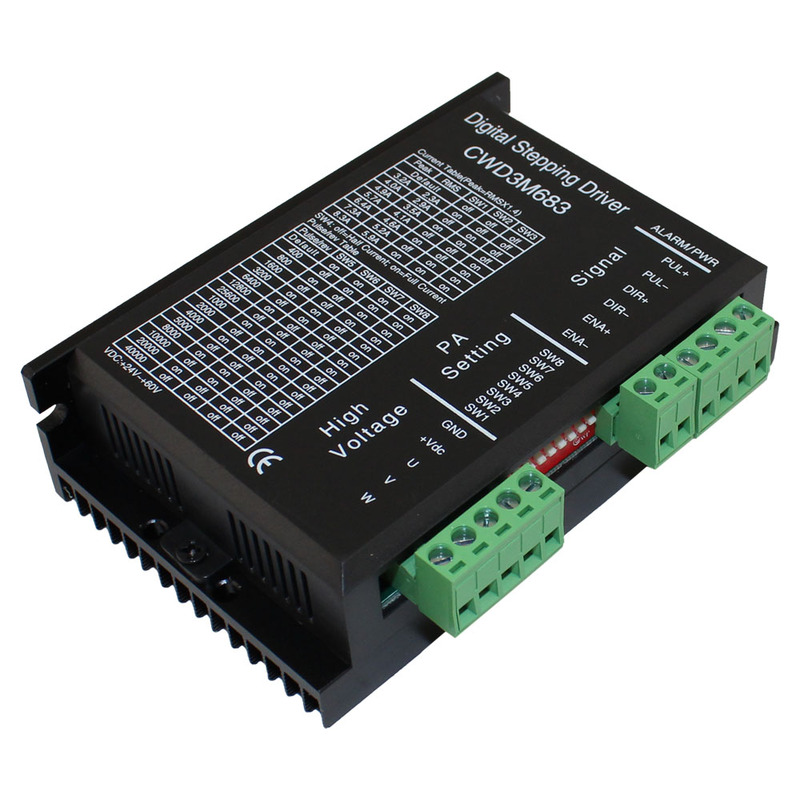 It always performs well when applied for equipment which requires for low-vibration, low-noise, high-precision and high-velocity. 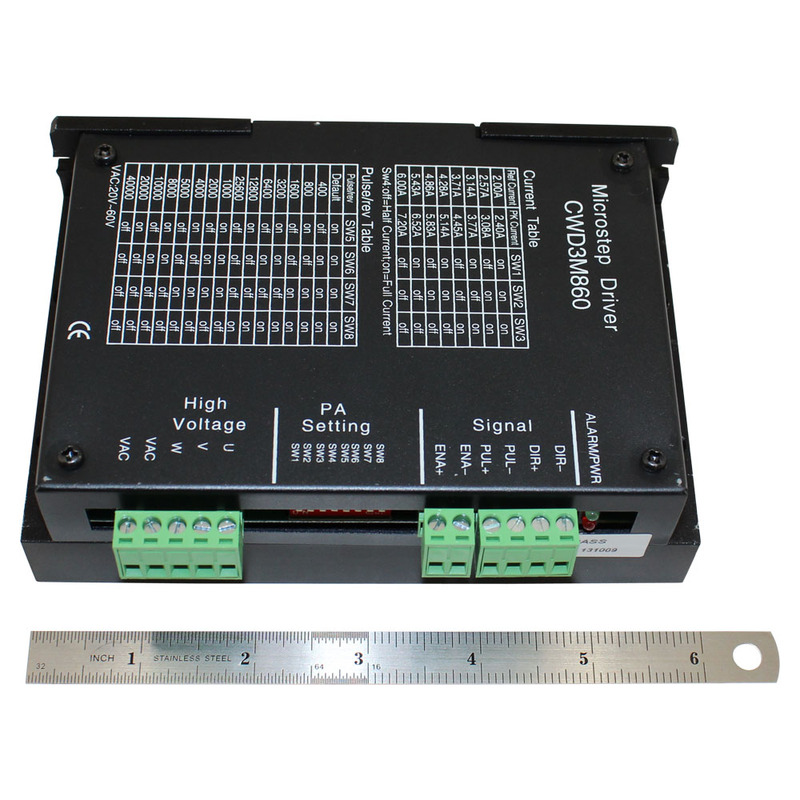 Here is the CWD3M860 specifications and dimensions schematic.